A St. Joseph man has been arrested in the death of a 7-month-old Rice infant. 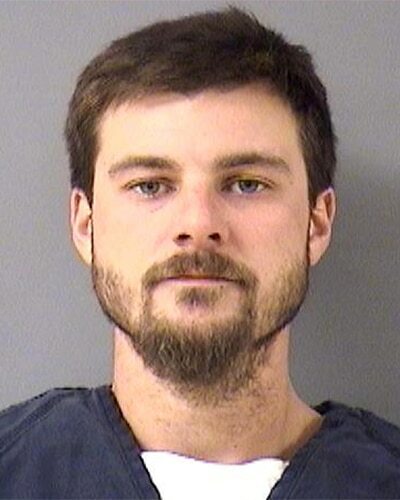 James Robert Wood, 29, was arrested Tuesday by the Benton County Sheriff’s Office and he is being held in the Benton County Jail. Wood could be charged with third-degree murder. At about 10:15 a.m. on Oct. 13, deputies, firefighters and paramedics were called to a home in the 1100 block of 108th St. NW., Rice, in response to the report of an infant death. The Midwest Medical Examiner’s Office determined that the infant’s death was a homicide resulting from blunt force trauma. Evidence found during the course of the investigation led investigators to arrest Wood, according to the Benton County Sheriff’s Office. Wood was in a significant relationship with the infant’s mother and had arrived at the home on the evening of Oct. 12, with plans to stay the weekend at the residence, according to the sheriff’s office. Wood was arrested during the early morning hours of Oct. 13, by the Morrison County deputies for DUI and possible fourth-degree assault. He was held in Morrison County until he was arraigned on the DUI charges Tuesday morning. Wood was arrested by Benton County following his court appearance and taken to the Benton County Jail. The Benton County Sheriff’s Office and Minnesota BCA are continuing the investigation into this homicide.